Today through October 20, Motorola is hosting a deal on the Moto X (2nd gen) for Verizon that will save you $50 on a new 2-year contract. 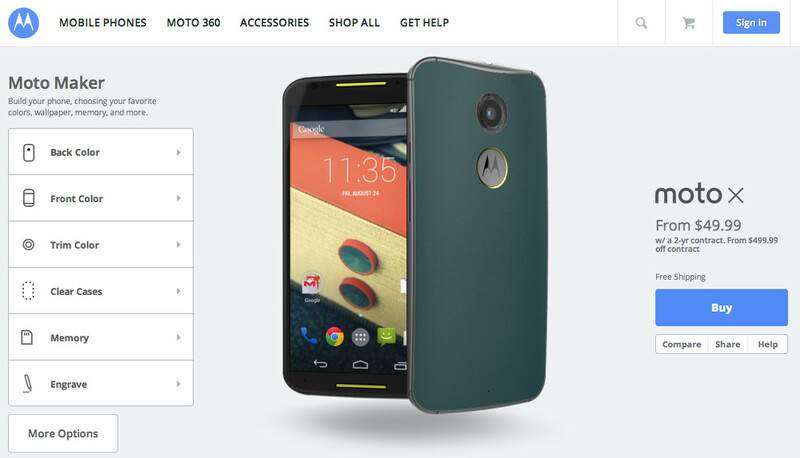 At $49.99, you can custom make the new Moto X cheaper than any other model. Full Moto Maker customizations are available as well at no charge, outside of the Natural and Leather backs that each carry a $25 premium. Still, this is the lowest price you will likely find unless you buy it through Amazon, but then you wouldn’t be able to customize it. If you haven’t, be sure to read our Moto X (2nd gen) review.